Milwaukee environmental leaders invite you to a conversation with Alice Waters, Ron Finley and Will Allen. Join 3 world-renowned food activists on Saturday, April 20 at 4 p.m. for a community conversation on farming, food equity and social justice. The event is presented by Groundwork Milwaukee, in partnership with Civic Leadership Center, Fondy Food Center, NŌ Studios and Slow Food WISE. 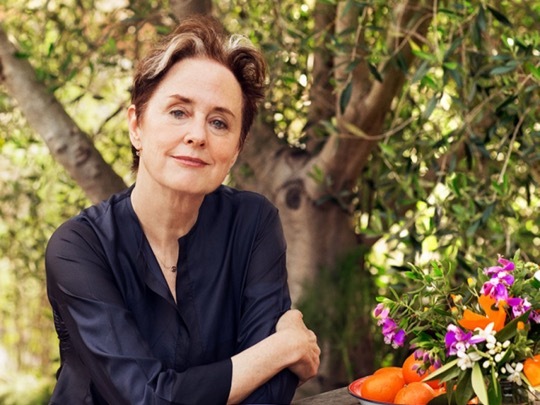 During the event, chef and food activist Alice Waters, L.A.-based urban gardener Ron Finley, and Milwaukee’s Growing Power founder Will Allen will share the stage in a conversation moderated by Susan Bence, 89.7FM WUWM Milwaukee Public Radio environmental reporter. The conversation will focus on the power of food equity and farming in economic and social development in Milwaukee, Wisconsin and across the nation. Local environmental and urban agricultural leaders joining the conversation include emcee Deneine Powell, executive director of Groundwork Milwaukee; Michael Carriere, associate professor at MSOE and program chair of Civic Leadership Center; Jennifer Casey, executive director of Fondy Food Center; Andre Lee Ellis, founder of We Got This; Martha Kipcak, founder of the Milwaukee Food Council; and Venice Williams, executive director of Alice’s Garden.